It’s been quite an eventful couple of weeks, kick-started way back on Thursday the 14th by escorting ‘Petit Denis’ to London. Denis is not the most world-wild-travelled human being, it has to be said. But once I had briefed him on suitcase size and the essentials to fill it with all seemed to be going smoothly. 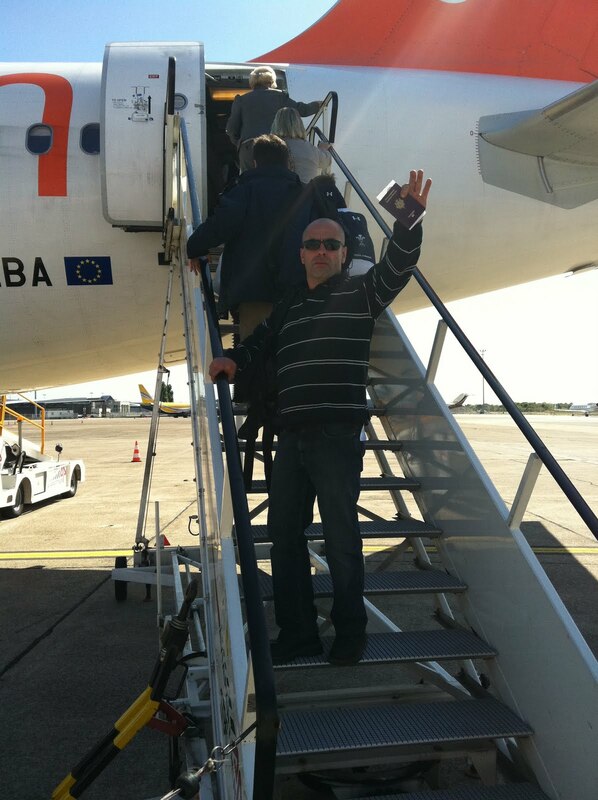 We finally left Le Chai for Bordeaux airport after prising ‘Petit Denis’ from his beloved barrels after his insistence on caressing each one before his ‘voyage’! The car journey was interesting, packed full of ‘Petit Denis’ practicing his year 11 Anglais. “Hello my name is Dennis, the Dordogne river is my second mother” being the most successfully executed phrase. All was fairly normal until ‘Petit Denis’ – panic in his eyes – realised he had forgotten his saucisson for the journey! I repeatedly explained that there would be food in London (and knives) but to no avail. I gave in and had to stop for him to buy the saucisson. I did put my foot down on the 3-litre Bergerac bag-in-box wine again convincing him that there would be ‘vin rouge en Angleterre’. At last Bordeaux airport came into view and we were safely parked in the long-stay car park. Petit Denis, I and the large saucisson made our way to the terminal … and then it began. The next 5 minutes went rather like this: saucisson stuffed in bag; no ticket; no passport; saucisson out of bag; found passport; still no ticket; saucisson back in bag; found ticket; boarding pass; passport 10yrs out of date; saucisson back out of bag; found identity card; boarding pass; saucisson back in bag; security check; knife on belt; Gendarmes; knife in police safe (for collection on his return? ); on plane. Some confusion just before take-off when the stewardess announced “who is the owner of a black bag with a pink ribbon” beautifully mistranslated by Petit Denis to “who owns black Raybans” which he had his in his bag and confidently raised his hand! Once that small matter was explained we were off to England. I was fortunately spared practising the “Hello my name is Dennis, the Dordogne river is my second mother” as he was glued to the plane window and quiet as a mouse. Petit Denis then had a snooze during which time I was frantically thinking of how to break the news to him that we were not having a lunch. On arrival the ‘lunch’ news didn’t go down very well at all and speeding towards our Gloucester Depot in the hire car the saucisson was brought into action along with a spare knife smuggled in his main baggage! We arrived at Gloucester and were greeted by Nick Hurlstone. The flood gates opened: “Hello my name is Dennis, the Dordogne river is my second mother” which would set the general tone for the next 48 hours – half of the Big Issue sellers from Gloucester to Westminster are now fully aware of this information. We finally checked into the Mint Hotel and ‘Petit Denis’ couldn’t understand why a suited and booted gentleman was prepared to carry his bag to his room. It was at this point I was started renaming him ‘Crocodile Denis’.